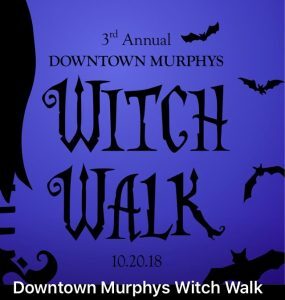 Saturday, October 20th, 2018 – Annual Downtown Murphys Witch Walk – where friends and magic meet! Please note that this year’s event is on a Saturday to allow everyone more time to walk, shop, sip, dine and watch! Gather your brood to EAT, DRINK, and SHOP downtown while you revel in wonderfully wicked TREATS, DISCOUNTS, PRIZES, and new friends too! Dress up or just come for the great witch watching. Fabulous gift baskets will be on display at The Potted Plum where you can drop your tickets in to win later that night over at The Lucky Penny – then dance the night away to live music by Leilani and The Distractions! 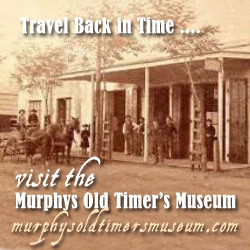 This is not a Business Association event, please direct your questions to the event organizers by posting on the Facebook page above or contacting their businesses, The Potted Plum and The Lucky Penny Public House.